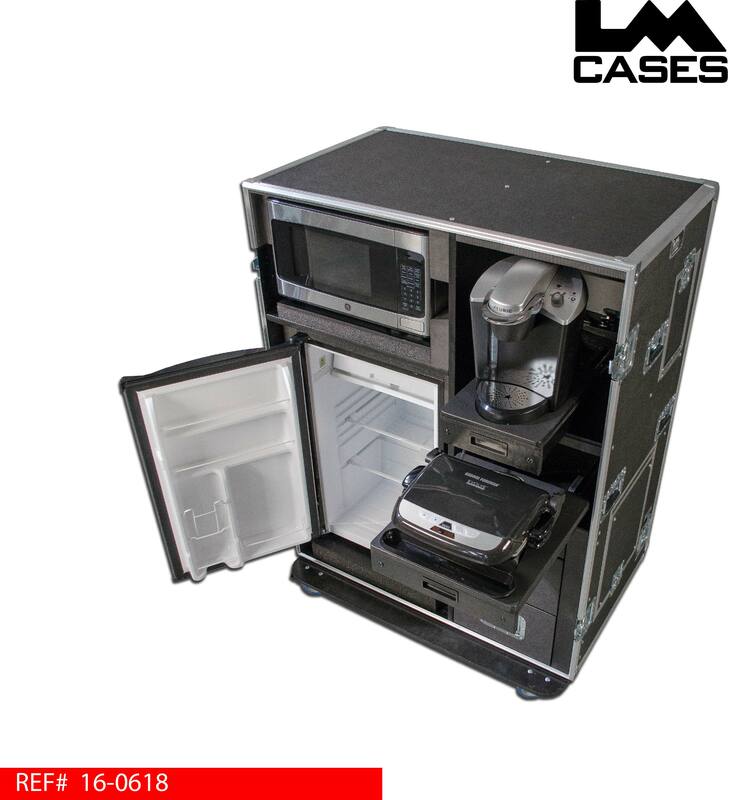 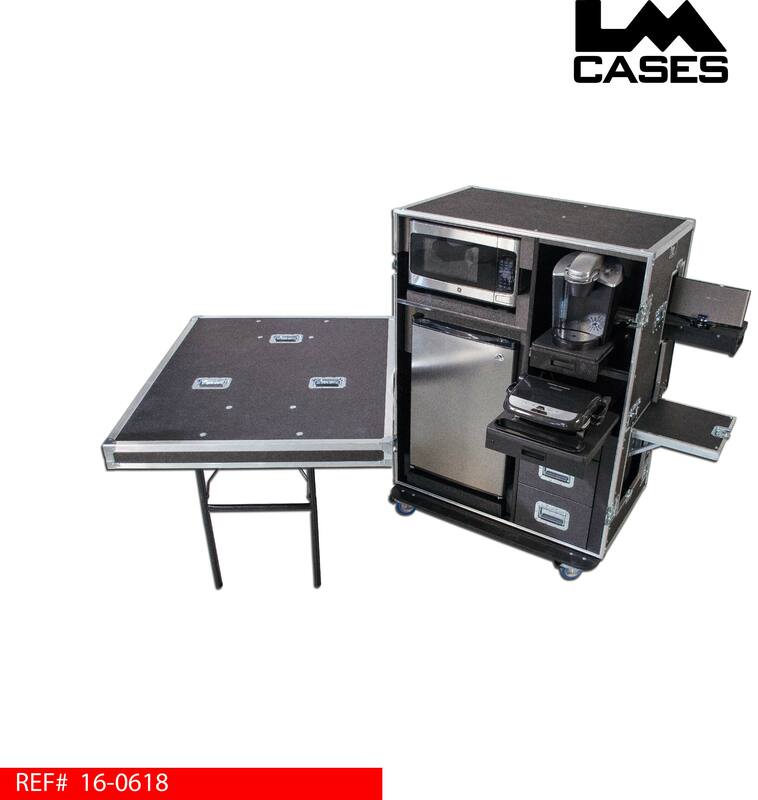 This case is designed to be a self contained mobile concession unit. 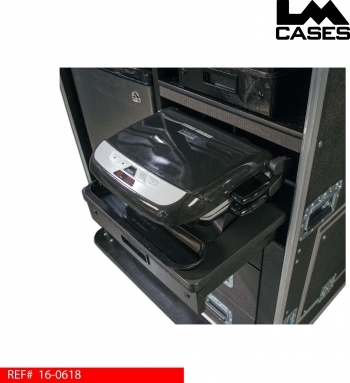 The case holds a refrigerator, microwave, electric grill, Keurig beverage maker and a Bose Sound Dock III music player. 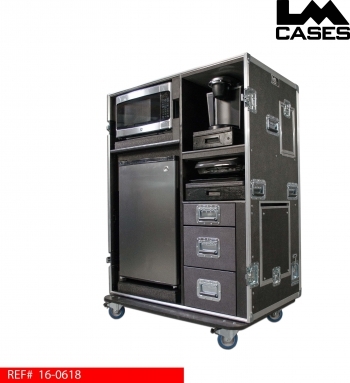 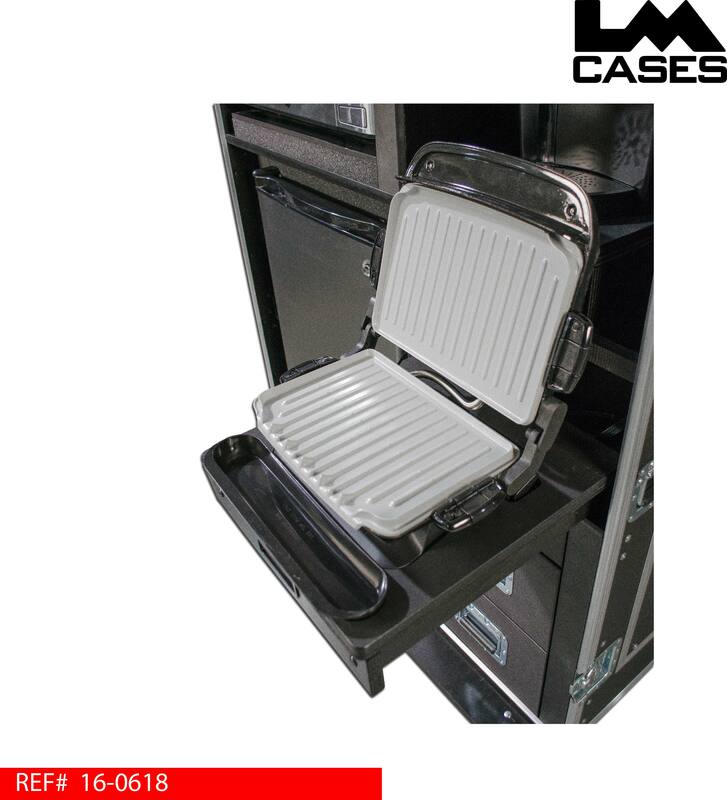 The case can be used in green rooms, locker rooms and any application where a portable cafeteria is needed. 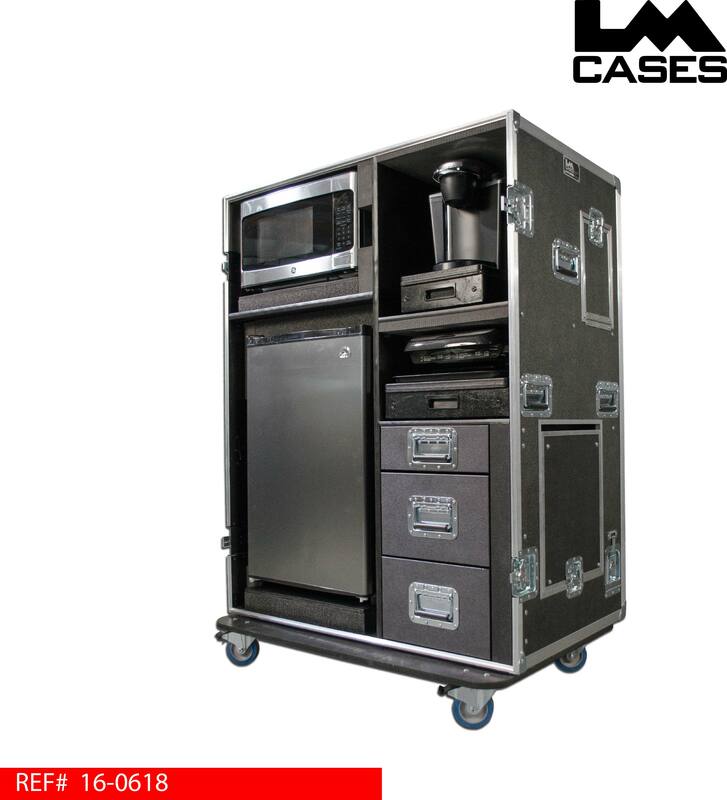 The case features a 4.4cu.ft refrigerator and a 1.1 cu.ft microwave oven with a stainless steel finish. The top right side of the case features a commercial grade Keurig beverage maker, a Bose Sound Dock III is mounted on a slide out shelf that extends through the right rear side of the case. 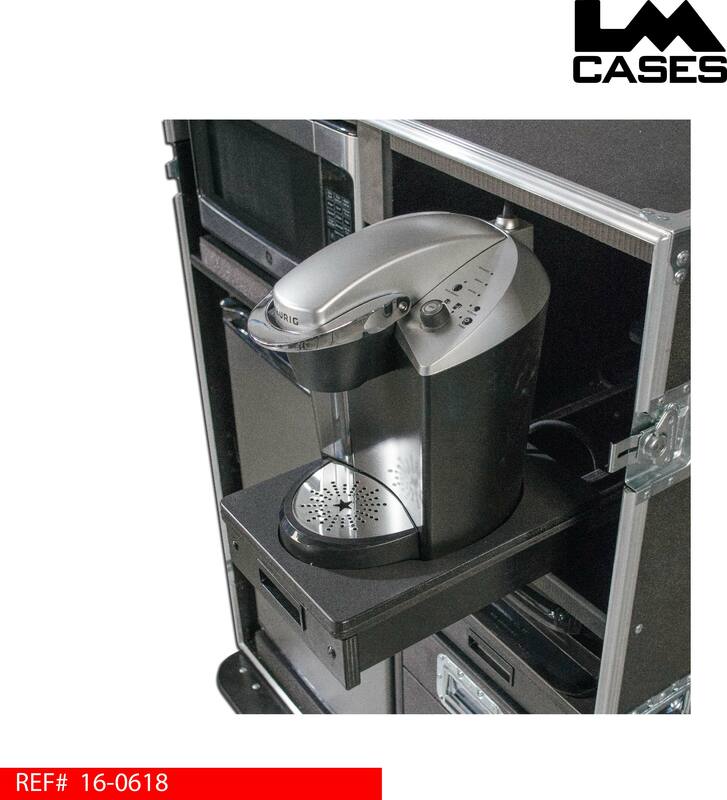 Below the Keurig is a slide out shelf with a Hamilton Beach electric grill, the grill & Keurig compartments are lined with heat resistant foam to prevent damage from storing hot appliances. The grill, Keurig & Bose Sound Dock are held in place with custom CNC cut plastic pieces that contour the shape of the appliances holding them to their shelves. 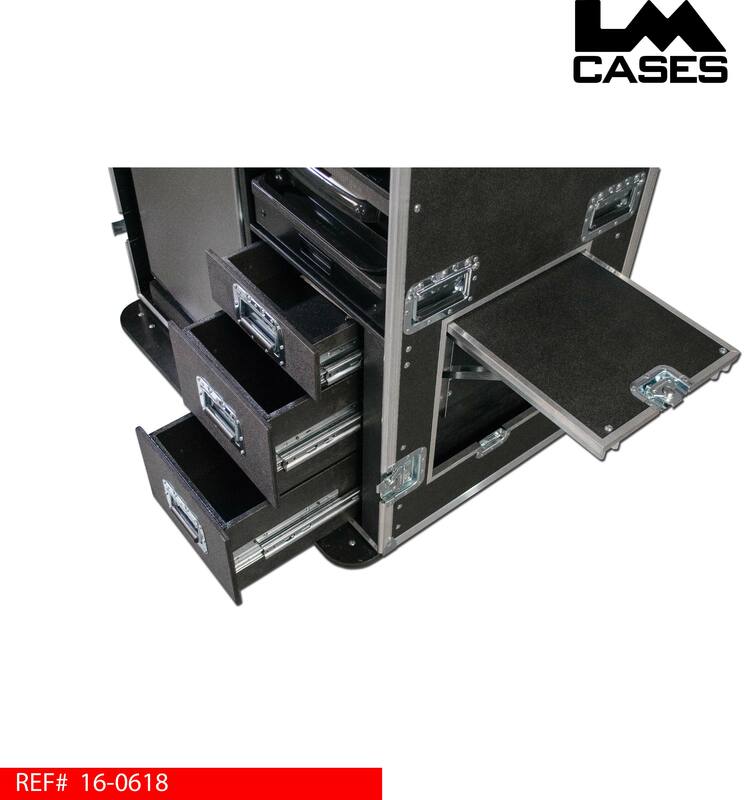 The case also features 3 drawers built out of 1/2" Baltic Birch finished with black texture coating mounted on heavy duty Accuride drawer glides. All appliances are wired to a central power source that features a retractable 30ft extension cord that powers the case without the need to carry an extension cord. 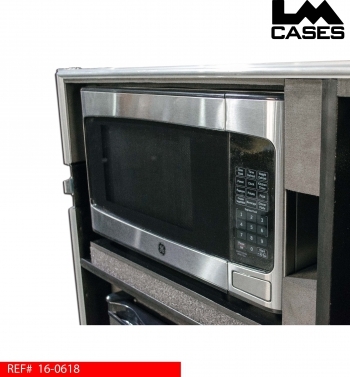 All appliances and electrical components were installed and provided by the LM Cases Custom Integration Department. The exterior case is built out of 3/8" plywood laminated with black ABS plastic. 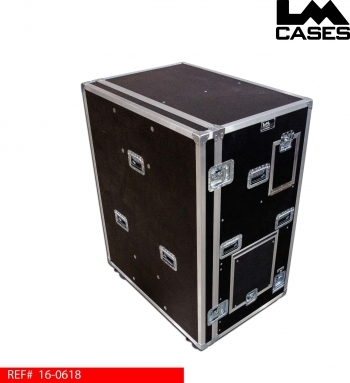 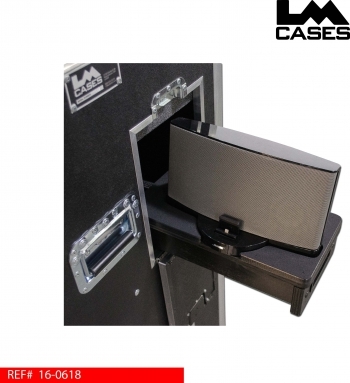 The case features deep recessed handles, pad lockable hasp latches, 4" Colson casters and table legs mounted in the front lid.